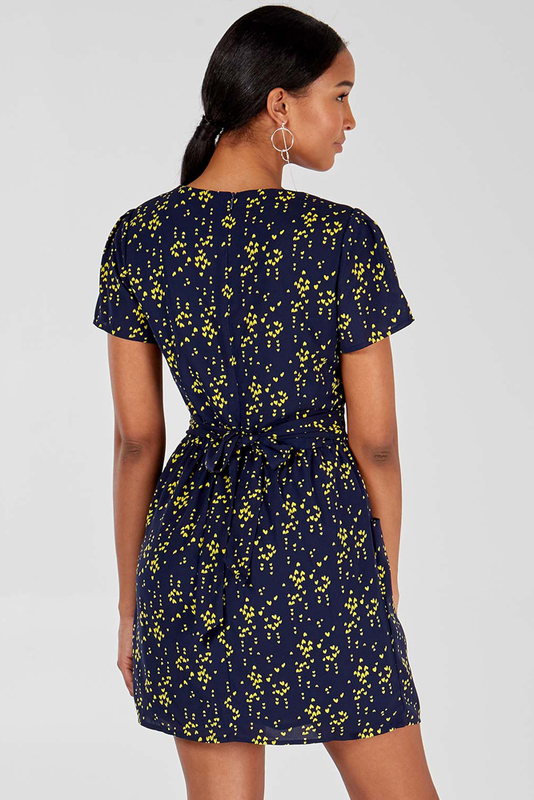 Oh we love a dress with pockets. The Jenna dress has a striking yellow heart print and fits like a dream. Being a tulip shape the waist is defined whilst the tummy and hips are disguised. A lovely shape for wearing day or night. A bestselling shape for us as it flatters the figure well. Style this with heels or a sandal for a versatile dress that can take you from day to night.